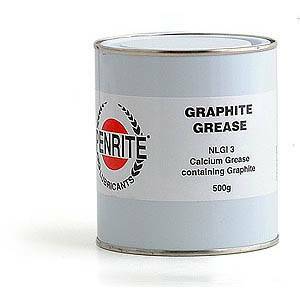 Penrite graphite grease is suitable for general lubrication work, being highly water resistant. NLGI 3 Calcium grease containing graphite particularly recommended for leaf springs, chassis lubrication, handbrake cables, flexible drives and exposed chains. Benefits: resists water washout, protects agains rust and corrosion. Graphite provides a solid film for extra lubrication.